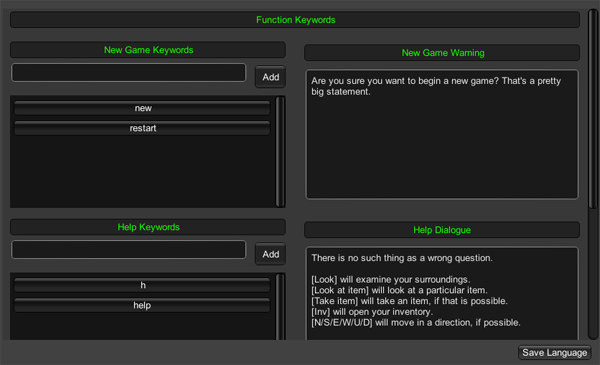 The keywords the user can use in order to restart their game and create a new game. The message printed when a user wishes to begin a new game. Example: Are you sure you wish to restart the game? 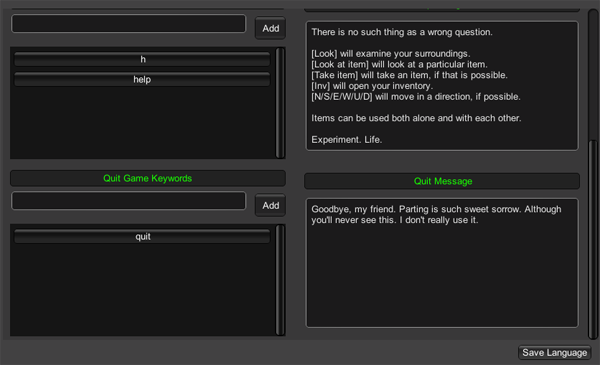 The keywords the user can use in order to display the help dialogue. Example: "Type [N/E/S/W] to move, [Take] to pick up an item, [Look] to examine..."
The keywords the user can use in order to quit the game. Not really used - only the PC / Mac standalone targets will need this. The message displayed when the user has chosen to quit.